Yes! I want to help wild fish thrive in healthy waters for a better California. Please send me information about including CalTrout in my will. Donate today, and we'll send you a 2019 CalTrout calendar featuring stunning photos from our latest Photo Contest. No thanks. 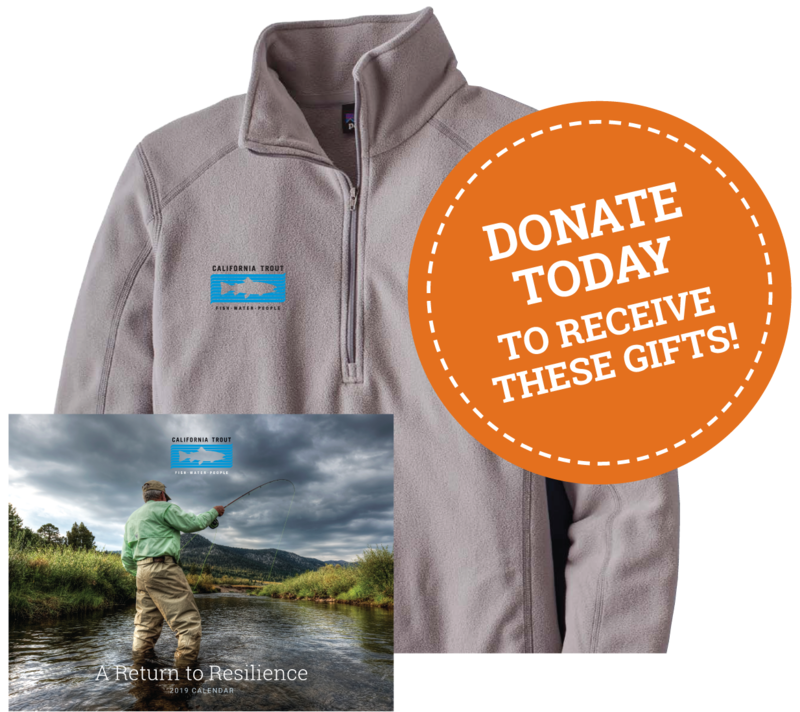 Put 100% of my gift to fish!